On the last weekend in October, University of Rochester invited local families to campus hosted by one of twenty student organizations who had their own unique demo to do with the visitors. Demonstrations for a Halloween themed day of science demonstrations and activities! 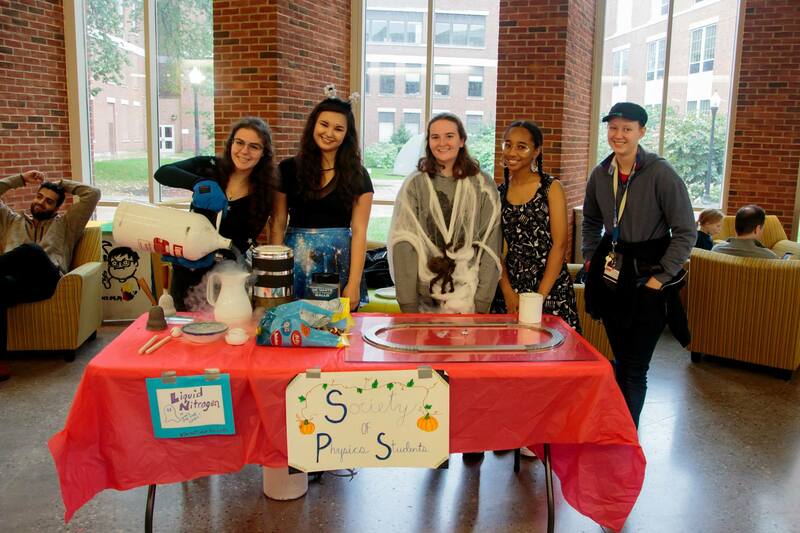 Kids and their families could “trick-or-treat” at different tables, each ranged from making glow-in-the-dark jello with the Society of Women Engineers to watching a nail melt in half at one of the SPS tables to science themed face painting.